“I like to say that, if you’re seeing me , you’re having the worst day of your life”. Louis Bloom. Jake Gyllenhaal does it again, creating another incredibly layered, interesting character that is up there with Patrick Bateman as humanitarian of the year. Here, he plays Louis Bloom a man with determination and a disconnect from humanity not seen in a main character for a while. He is a sociopath, borderline psychopath who finds himself becoming a reporter of all things gruesome on the L.A. crime scene. He is a vampire scouring the police radios at night for any potentially graphic accidents or crimes that he can film and sell. This is a massive indictment of the news corporations and their hunger for all things macabre. It also comments on our own desires to ingest this poison; it is both prescient and powerful. You get to see the lowest of the low, exploiting suffering and tragedy for their own selfish ends. The true bottom-feeders. It could be said that Lou would be successful whatever he was doing. I’m sure there are more than a few people in high ranking places that also share his disconnect to humanity. 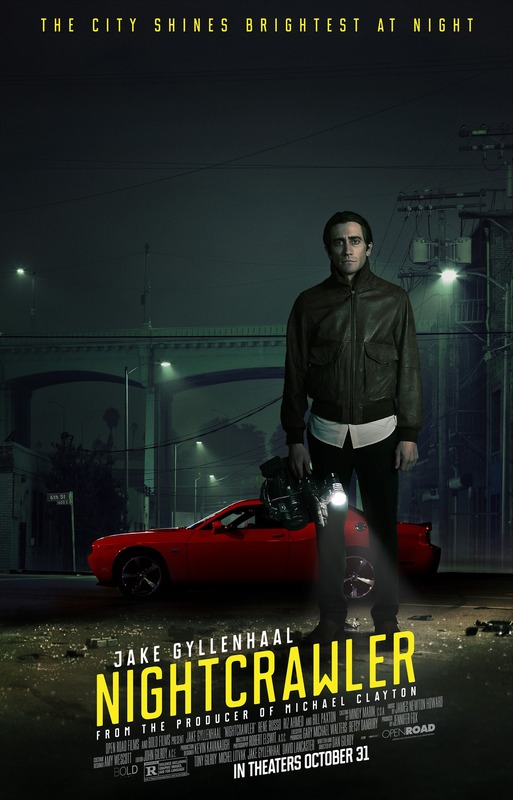 Dan Gilroy writes and directs with skill as he takes us down this dark night of the soul that is also similar in tone to story of the most famous Taxi Driver of them all, Travis Bickle. Especially in the way he inhabits the night, less in a self-appointed, misguided, crusading way though no less gruesome. This is Gilroy’s directorial debut and he shows massive promise. Riz Ahmed is on supporting duties as the nervous, insecure assistant, Rick to Lou’s CEO. He’s proving himself to be an actor of merit and talent. There is a line in the film where Rick tells Lou that he doesn’t understand people to which Lou replies later in the scene: “ What if my problem wasn’t that I don’t understand people but that I don’t like them”. This is such a great line that allows the viewers deeper into the machinations of this twisted character. Bill Paxton is sleazy as Lou’s competition and he does what he does very well. Rene Russo is also in the mix for sleaze merchant of the year as Nina Romina, the producer of the local tv station who will do anything to get the ratings up. Finally back to Jake. He really is one of the greatest American film actors working today, always interesting, always believable. Here, he has created a character that will be name-checked in years to come. This role gives him free-reign to go to work and bring to life this memorable character, utterly devoid of sentiment. A nomination should have been in the bag, it is an incredible performance worthy of praise. Be warned, though, this is not for the faint-hearted, the themes and subject matter shine a light on a grim reality that we are all responsible for in one way or another.